The Great Orchestra of Christmas Charity Foundation is a public benefit organization, raising funds during a one-day public charitable collection, held both in Poland and abroad as well as online fundraising opportunities such as charitable auctions or digital Collection Boxes. The Foundation publishes detailed financial reports online and presents all relevant documents to controlling bodies and entities such as the Revenue Office and Ministry of Health. You need to bear in mind that it takes over a year to close each charitable collection - the financial reports are published after all equipment had been bought and delivered to hospitals across Poland. For instance, the 24th Grand Finale, which took place in 2016 is accounted for, because all funds raised two years have been assigned or used to purchase medical equipment, while the 25th Grand Finale, which took place a year later, in 2017, is still not fully accounted for, because there are still funds to be spent on medical purchases. You can also visit nacoidamojepieniadze.wos.org.pl (Polish only) to follow the path of each coin you dropped into the Collection Box. You can enter the amount you donated to see how it has been allocated. 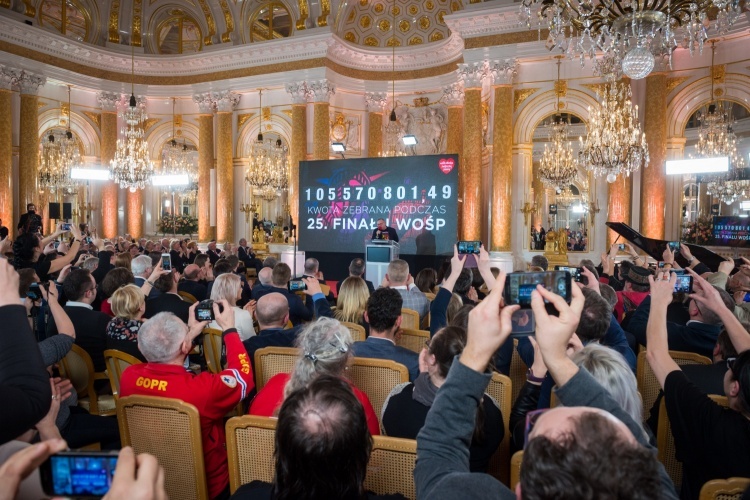 Each year, not only the main objective of the Grand Finale is carefully chosen. The equipment is purchased during an Open Tender procedure, where each offer is carefully examined and the best terms are negotiated - often to include extensive service period and training for medical staff on how to use the equipment.